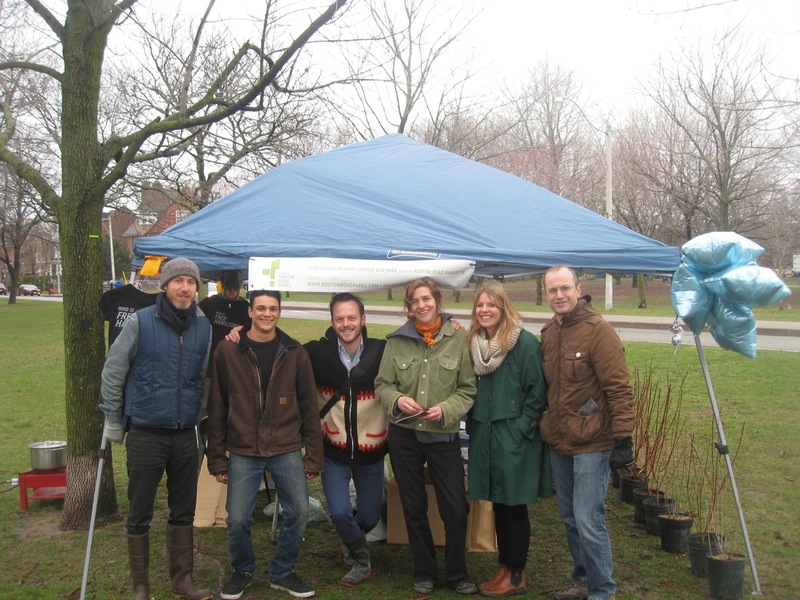 On Saturday April 13, FoRRP joined in the events of Environment Day at Trinity Bellwoods Park. In spite of the rain and extreme cold people’s spirits were high. 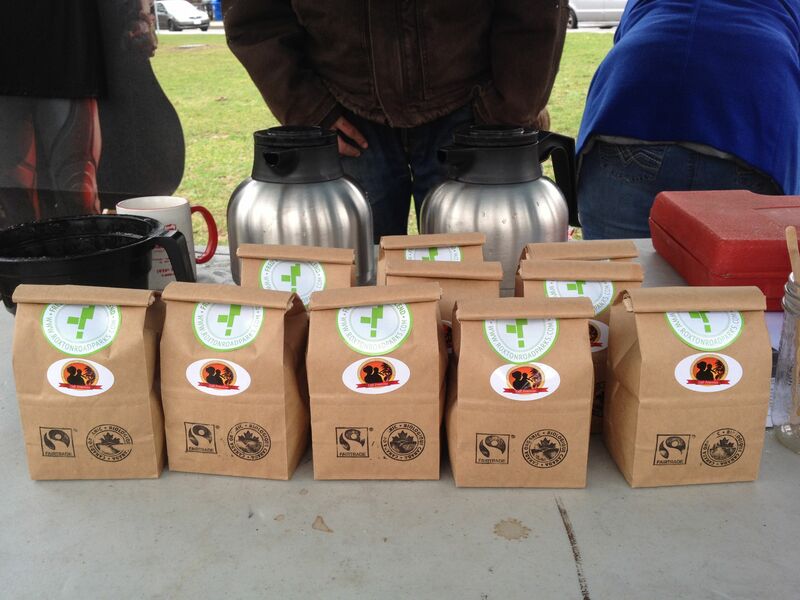 We served and sold our new organic, free-trade, cafe feminina coffee “Fred’s Favourite Blend” to great enthusiasm. 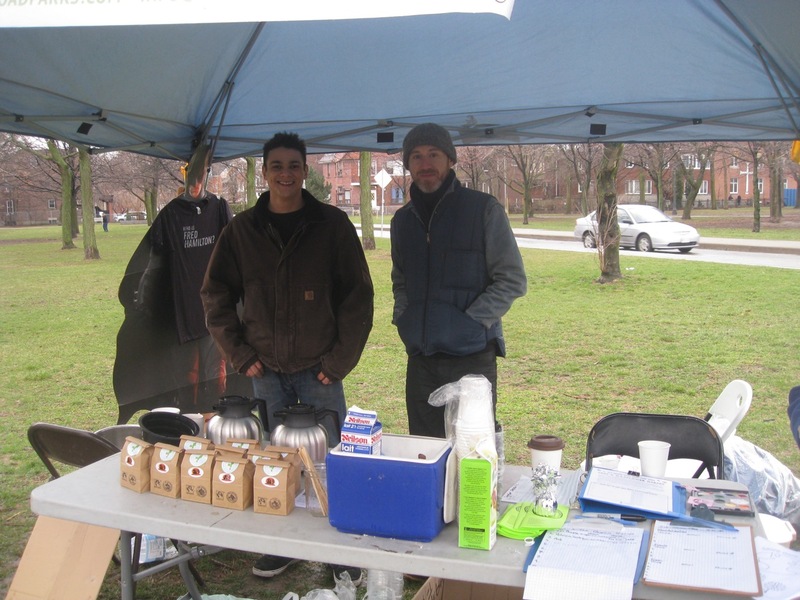 Thanks to Ryan and Rene of Dark City Coffee for their delicious custom blend and for roasting it up for four hours in the rain and cold. “Fred’s Favourite Blend” will soon be for sale on our website! Thanks to Adam and Central Tree Care and Uxbridge Nurseries we also had Ninebark, Red Osler, and Snowberry shrubs for sale. 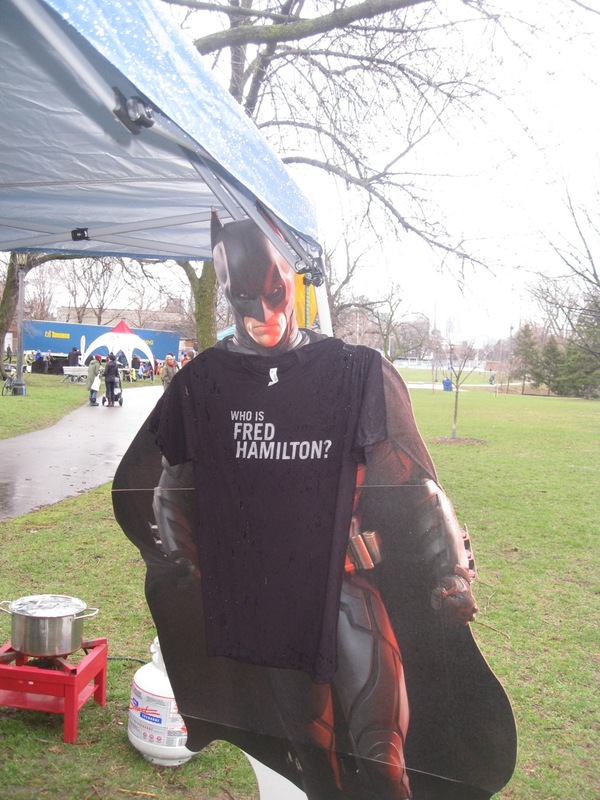 Needless to say, we also had our popular “Who is Fred Hamilton” T-shirts for sale and Batman was spotted wearing one with pride! 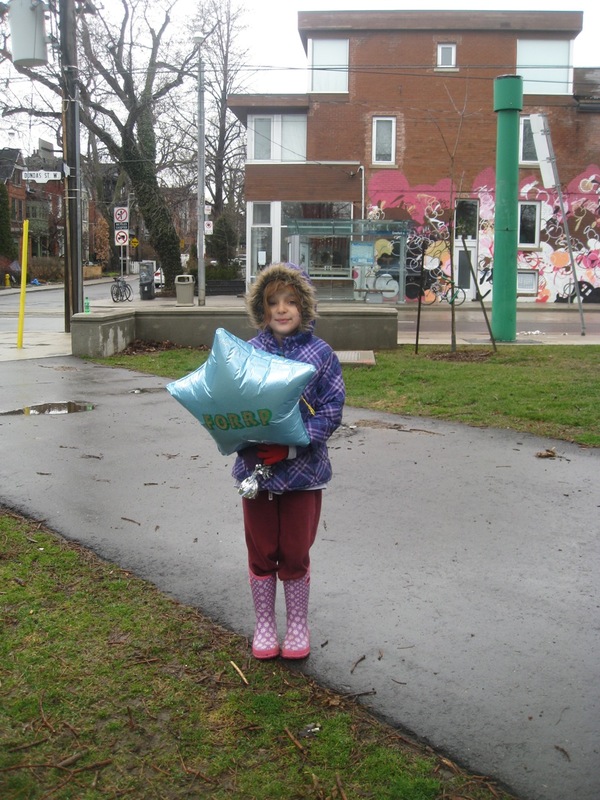 We signed up new members for FoRRP and for our Adopt-a-Tree program for the new trees which will be planted in Fred Hamilton Park this May. Our information brochures designed by Shani Parsons were so popular that we ran out of them half-way through the event. Thanks to the Events commmittee: Tim, Rhea, Pat, Zac, Roumen, Naomi, and Bob! Special thanks to Pat for her tent, which was most welcome in the rain, and for her excellent face painting. Below, more pictures from the day, including our hardy roasters, our well-labeled coffee, and a few famous faces from the neighbourhood! 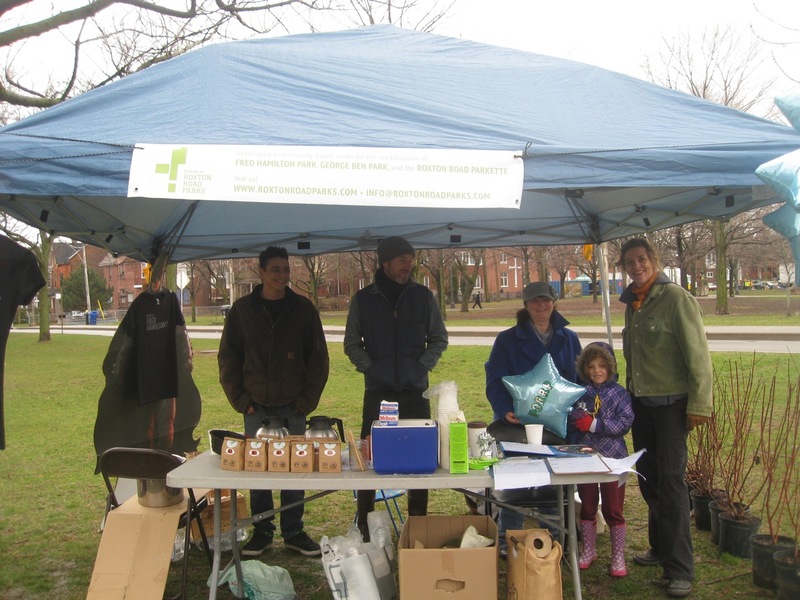 ← Environment Day at Trinity Bellwoods this year — Come see us! way to go FoRRP… any chance of posting the PDF of the flyer from environment day?